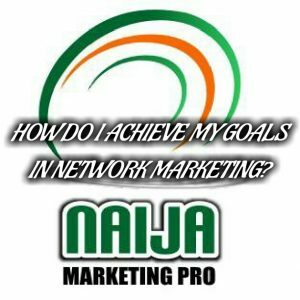 Home » Network Marketing » HOW DO I ACHIEVE MY GOALS IN NETWORK MARKETING? “Mr. 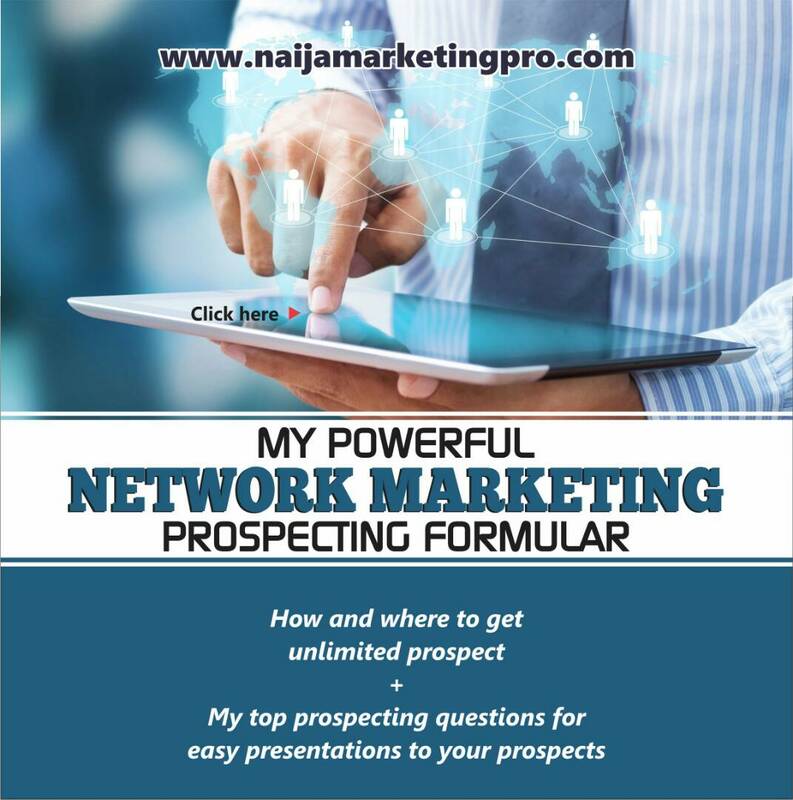 AOC, how do I achieve my goals in network marketing?” The boy asked me, ‘this is simple young man,’ I replied him quietly. Today, this boy crushes his goals day in day out in network marketing even in life. The last time we met, he was full of hopes, optimism and assurance loaded with great expectations. 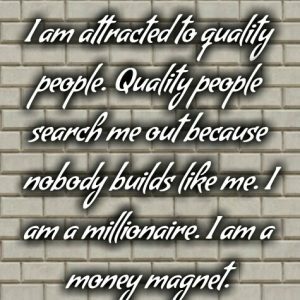 So, how do I achieve my goals in network marketing? You asked. Read on. How do you make this month your best month in this year? I want to give you some tips on how you can make this month your best month ever in network marketing. I want to show you how to achieve your goals in network marketing successfully this month. Have you ever felt trapped in your network marketing business before? Look, virtually all the top leaders has one time felt like that. I have also once felt like that so, am in the best position to share these tips with you today. Number one : Where do you want to be at the end of the month? Decide where you want to be at the end of the month. There’s a common sayings that if you don’t know where you are going, everywhere will get you there. Do you want to get to the next rank or stage, is it to earn any particular money etc. The concept is to know where you are going. Where do you want to be at the end of the month? Write it down now. Number two: Work with the willing. Be ready to work with the willing people in your team. 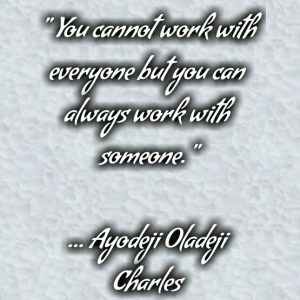 You cannot work with everyone but you can always work with someone. You don’t want to leave your financial future in the hands of anyone but yourself. To get your goals achieved, you should be ready to work with the willing players in your team. How to do this is simple, get on the phone, pick up your phone and call your team players and ask this, “where do you want to be at the end of the month?” Just ask that question and listen. 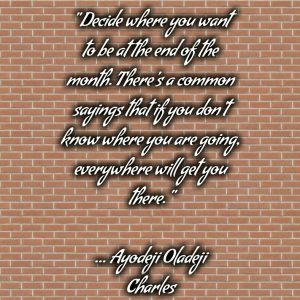 I do this often, most especially at the beginning of each month’s, I do this so our team can experience accelerated promotion in goal getting for that particular month. If there’s a promo coming ahead for a particular set of rank in your company, ask them if they have heard of it. There you go! Number three: Inspect what you expect. 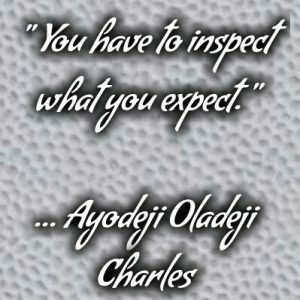 You have to inspect what you expect. You have to write down where they said they want to be. This is to help you be able to follow up with the players in your team that says they want this and are really following through and it will also help you to know where to focus more of your energy. Number Four: Ask permission from them. Ask your team players to remind you why they started the business. Ask permission from them so you can always remind them in case if the journey get tougher which usually is. Applying this will make them stay long enough and strong enough. Number five: Be wiling to put in the required work. This is effective. You must be ready to work too. You work at making things happen. Like one of my father, Bishop David Oyedepo used to say, “YOU EITHER WORK AT MAKING THINGS HAPPEN OR THEY NEVER HAPPEN,” you get over your mind and be an exemplary leader. While your team players are prospecting 10 people per day. You already prospected 100 people. You see, leadership is not by position but by action and by getting results. I so much love this aspect of affirmations. Bob proctor’ said you can’t believe no other voice like yours. When you proclaim this every day you start believing it. That’s how I do mine everyday, early in the morning and before bed at night. When any negative thoughts comes in, flush it out with your affirmations of ‘I am,’ do not stop saying this until the end of the month, doing this consistently will create a mental momentum within you and will put you on fire to fire up your goal getting spirit. Number seven: Do it now. 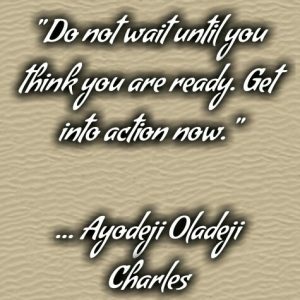 Do not wait until you think you are ready. Get into action now. one of my mentors said, ‘Do the thing, have the power.’ Do it first and the power to follow through will come seeking for you. I can tell you it works because I have experienced it and still experiencing it. You can do this. Let’s rock and roll it up. I hope to see you becoming a top leader in your company very soon. « HOW TO OVERCOME FEAR IN MY BUSINESS, LIFE AND EVERYTHING with ITE OJEH. Wow. This is great. Go and make it happen.